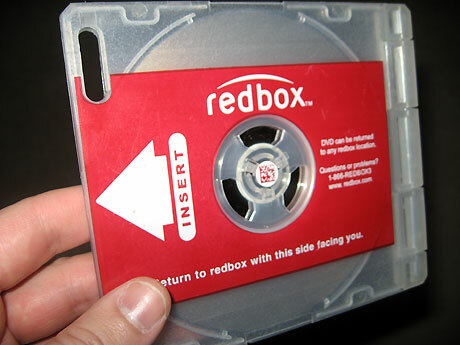 « Redbox a Better Deal for Some Netflix Subscribers? It’s official, Insiders: Red’s gone Blu. Redbox announced today that Blu-ray discs are now available at approximately 13,300 of its kiosks, priced at $1.50 per night. RB intends to roll out high-def disc rentals in all of its kiosks by the fall, and plans to have about 10% of its inventory consist of BDs by year’s end. Unfortunately, the Redbox Blu-ray search page only currently allows users to search for kiosks that offer Blu-rays in their areas. Searching for specific Blu-rays, as well as reserving BD titles is not available yet. Have you rented a Blu-ray from Redbox yet? How about that $1.50 price point—spot on? Tell us what you think in the comments. As Redbox cannot continue to expand at the same pace indefinitely (the market will only support so many kiosks, after all) Coinstar has to look at other ways to fuel top-line growth. Offering another product in the same kiosk at a 50% higher price point is one way to accomplish this. But something has to go to make room for those Blu-Ray discs. What will it be – fewer standard def titles or fewer copies of certain titles? To what extend will out-of-stocks or less variety adversely affect their mainstream business? I’m starting to see more dual kiosk locations in my area. I think this is one way they will make room for BluRay and eventually Video Games. sorry but video games will not happen. they can’t do that when they can’t compete with actual stores. hmm, i noticed that the kiosks near by home currently stock blu-ray titles, but the redbox blu-ray search page still tells me that there are none in my area that carry them. seems like a lot of work still needs to be done to bring this area up to speed on their website – but pricewise, still not a bad deal all things considering. Around here we have video games and bluray discs. There were only 5 or 6 blu ray movies in the kiosk. There are usually only 3-4 video games and since we can’t see quantity there might not be but a couple copies of each. I am sure after they start they will determine how many to put in each machine but last time I checked the blu-rays were in the machine and available. Maybe this will just keep the older movies out of the machines, weren’t they just filler anyway? So when can i reserve them online, or even seen what’s available. How can anyone afford blu ray player and renting blu ray disc ? Some people go to college and work hard. Yea i can see $1.50 makes you poor. My parents paid $170 for their first dvd player, blu-ray players are cheaper than that. I have rented 6 Blu-rays in the last 2 weeks since they came to my area. I often use a code so I only have to pay 50 cents, but even without it’s very worth it over the pricing and hassle with other companies I have dealt with. I don’t get why people still consider Blu-ray some expensive product. Pricing for discs and players has lowered much faster than DVD did. I bought my player last year for $78 which is half the price I paid for my first DVD player that died after 2 years. The Blu-rays in the Redboxs are renting well, today one machine was totally out and alot of the others in area had only a few titles left when they had 2 full rows last week. Today I used my free codes to get the last of the DVDs I wanted to see that came out before Blu-ray so now it’s Blu-ray only for me! I agree! Pricing for Blu-ray has come way down. I had no intention of buying a player for a while but my regular DVD player (which had up-convert) died. I was able to get a new Blu-ray player at Amazon for $50 (reg. price $130) with free shipping. I usually only pay $8 – $15 for a Blu-ray disk on sale at Amazon too. Walmart usually has a selection of Blu-rays that are only $10 in their stores. Looking forward to Blu-ray at Redbox! If they add addition kiosks at their locations they would not have a problem with reduced inventory for standard DVD’s.